We are a 501c3 Nonprofit Organization. Currently we visit auctions and consider requests from individuals needing to find a home for their horse, or from individuals who have found a situation where a draft horse needs rescuing. Serving Mature Draft Horse Breeds since 2003, we have also assisted in finding homes for hundreds of adoptable draft horses across the Nation. We rely solely on public donations as well as grants for the livelihood of United In Light, Inc.
Our Vision: Acres of land created to retire all mature draft horse breeds that have been rescued from an untimely death. They are rehabilitated to their optimal health and allowed to live in a herd family with other draft horses throughout the rest of their lives. If they choose, they are able to heal their hearts with humans, as humans also make the choice to heal with these horses. United In Light, Inc. educates the public on the lives of draft horses and of the unique lifestyle that is lived here on this land. Let the healing begin and let it be shared to all throughout our life. Sending it to all Nations, All people, All life. This light that shines, unites us all at once. Graduate from California Lutheran University in 1989, Graduate from Palmer College of Chiropractic West with Doctrine of Chiropractic in 1996. I walk the path of a Shaman, Reiki Master and Energy worker incorporating my gifts to helping all life. Consisting of humans and all animals, I owned my own practice in Southern California from 1996 to 2003, when a calling from a rescued draft horse “Knight of Dreams” (still resides at the sanctuary) changed my life”. 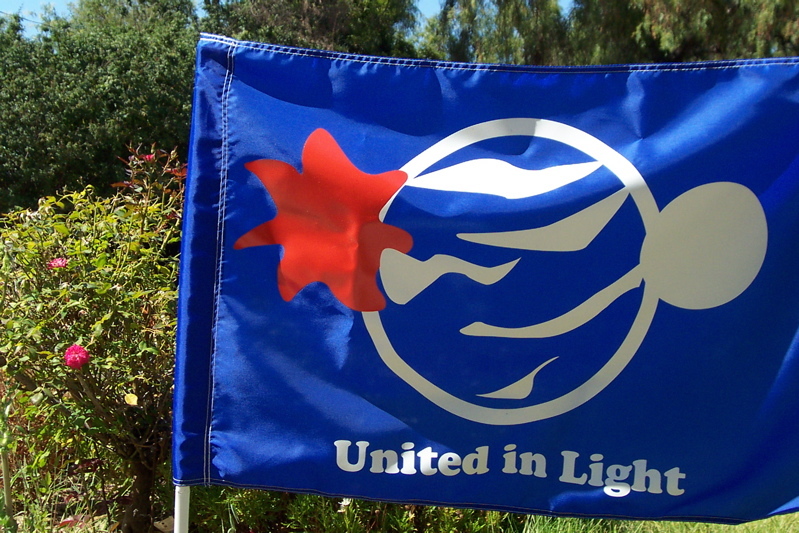 I sold my practice, relocated to northern Arizona and founded United In Light, Inc. in 2003. In 2007 I relocated UIL and the horses to continue the dream in Livingston, Montana. United In Light is my dream, bringing draft horses out of the shadows and into the hearts of people, is my love, watching, guiding and empowering all to live life to the fullest by discovering their dreams is my passion. 1981 Graduated with a B.S in Criminal Justice Administration. In 1982 Received a Certification of Completion, Denver Paralegal Institute. I have been a horse lover and rider, all my life. Dr. Deborah Derr has been a dear friend of mine since 1997. I have supported her efforts to help Draft Horses since she acquired Knight of Dreams in 2000 while she lived in Thousand Oaks, CA. I have joyfully visited UIL in both Arizona and Montana and continue to do so. I am now involved with alpacas here in California and hope to join Debbie in Montana soon with my own alpaca ranch! I am thrilled to be a part of what UIL has become and to help it evolve into what Debbie believes it will one day become!! Elizabeth “Bess” Harris came to United in Light when she attended an Open House in 2016 and fell in love with the Gentle Giants. Bess graduated from UC Davis with an MS degree in Animal Science. She lives in Bozeman with her husband, Jurgen and was a financial advisor and business owner for almost 40 years before retiring in 2015. She is a two-time cancer survivor who has worked through the American Cancer Society with breast cancer patients for over 23 years and while she regularly volunteers for a handful of other worthy causes, United in Light is where her heart is. I was honored and humbled to co-found Hacienda de los Milagros, Inc., a non-profit animal sanctuary, in 1995. We provided a lifetime home for almost 100 equines (horses and burros) as well as llamas, rabbits, dogs, cats and chickens. It was a blessing for me to walk with those souls, they taught me so much. I love being a part of United In Light to continue the path of respect and connectedness with all. I admire Deb so much and the work she is doing. I aspire to be more like her each day and am grateful to be a small part of some big magic. What an incredible blessing and opportunity to be a Board Member of United in Light! I first visited the draft horse sanctuary in 2011 and instantly fell in love with the horses and what United in Light stands for. I have been an animal lover and advocate all my life and been in rescue for 15+ years. I am so excited to be a part of the dream to love and heal the beautiful souls who come to live and visit our sanctuary.